Leica is launching a new camera called the Leica X2 Edition Paul Smith, in honor of the British fashion designer. While the red dot is really important for Leica’s identity as an unique brand, the colourful stripes for Paul Smith is its signature. Leica X2 Edition Paul Smith just shows how the 2 signature brands can work together in a perfect harmony. Paul Smith, the international fashion designer and entrepreneur, is the creative mind behind its flamboyant looks. Smith is regarded as one of the UK’s most successful designers and is famous for the use of bright and vibrant colors in his collections. Only 1,500 units were produce for a very special limited edition based on the current X2 camera. As we can see, we rediscover the new X2 thanks to its new colors but also its ne details like the lamp bulb painted on the camera’s top. The special Leica X2 »Edition Paul Smith« set contains not only the beautifully-styled Leica X2, but also a selection of accessories that bear the unmistakeable mark of Paul Smith’s design. These include a carrying strap and a camera protector in taupe-colored, premium calfskin. A high quality lens cleaning cloth labelled ‘Paul Smith for Leica’ and a certificate of authenticity are further exclusive additions to this premium camera set. The special edition is presented in distinctive packaging in co-ordinated colors, also created by the British fashion designer to complement the camera. APS-C format, professional CMOS image sensor with 16.5 megapixels (effective 16.2 MP). Resolution: JPEG in 3:2 format: 4928 x 3264 pixels (16.1 MP), 4288 x 2856 pixels (12.2 MP), 3264 x 2160 pixels (7.1 MP), 2144×1424 pixels (3.1 MP), 1632×1080 pixels (1.8 MP). DNG in 3:2 format: 4944×3272 pixels (16.2 MP). Image quality: JPEG super fine, JPEG fine, DNG + JPEG super fine, DNG + JPEG fine. Sensitivity: Auto, ISO 100, ISO 200, ISO 400, ISO 800, ISO 1600, ISO 3200, ISO 6400, ISO 12500. Shutter speeds: 30 s to 1/2000 s.
Monitor: 2.7″-TFT LCD with 230,000 pixels, wide-angle field of view: 100 %. Dimensions (LxHxD): Approx. 124x69x51.5mm (4.88×2.72×2.03in). The camera’s profile is complemented by numerous setting options from full manual control to automatic functions and intuitive, user-friendly handling. All this, together with its elegant and stylish design, makes the Leica X2 the ideal premium-class compact camera for discerning photographers who wish to concentrate completely on their subjects, and who appreciate creative and true-to-life pictures. Check the brand website as they just adapted the homepage to this new launch. Info sourced at official brand press release. All images are copyrighted with no reproduction rights available. 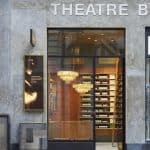 5 Men Must-haves for Christmas – Luxury gift ideas. 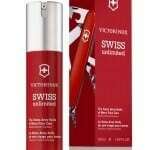 Victorinox opens the door of Innovative Face care for men.